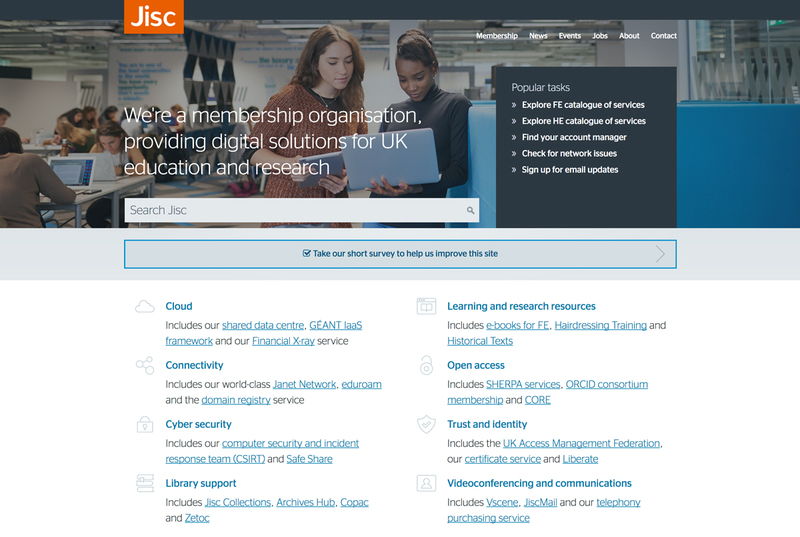 Jisc deliver UK universities and colleges with shared digital infrastructure and services. Gooii have worked in partnership with Jisc in the educational sector for many years. Our working relationship has been predominately User Interface design for two of their services, Historical Texts and Archives Hub. A number of UI enhancements have been delivered recently including a new public/private access. Previously the entire site had been openly accessible but these restrictions now needed adding. Now certain types of content have been marked as only accessible by those users who have logged in securely. Further enhancements have also been added to the user interface to make these and other options easier to filter. The challenge is not to make the interface cluttered, busy or confusing. Considering the amount of legacy data that needs flagging as public/private this has been a gigantic effort by all involved. Scripted logic can help assign categories to data with vast volumes of technical data, sometimes human intervention is needed. If you also wish to work with our talented user interface designers, web & app coders, Artificial Intelligence and Virtual/Augmented reality teams then please get in touch here.